When the engineers at Subaru first conceived of the BRZ, they began with a clean sheet of paper. The objective: to create a lightweight sports car with perfect balance, quick steering and one of the lowest centres of gravity of any production vehicle in the world. Then, the goal was to ensure this sports car was unquestionably a Subaru, despite being different from everything else bearing the six-starred logo. The result is a Subaru — and a sports car that’s been engineered to perform. 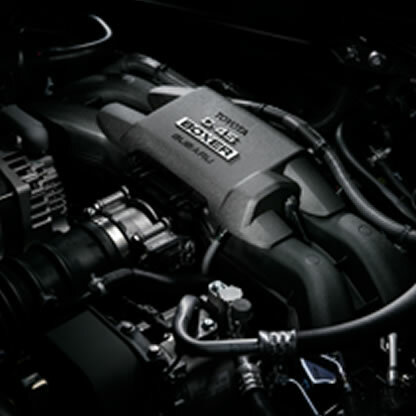 The naturally aspirated 2.0L SUBARU BOXER 4-cylinder incorporates the latest technology to deliver free-revving performance and remarkable efficiency at the same time. 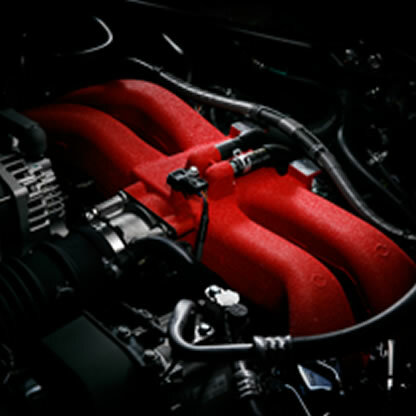 The engine, offered in two different states of tune depending on the transmission chosen, features direct and port fuel injection for instant response throughout the rev range. The result: A sports car engine with a 7000-rpm redline that sounds like a mechanical symphony, rewards you with crisp acceleration and keeps you coming back for more. 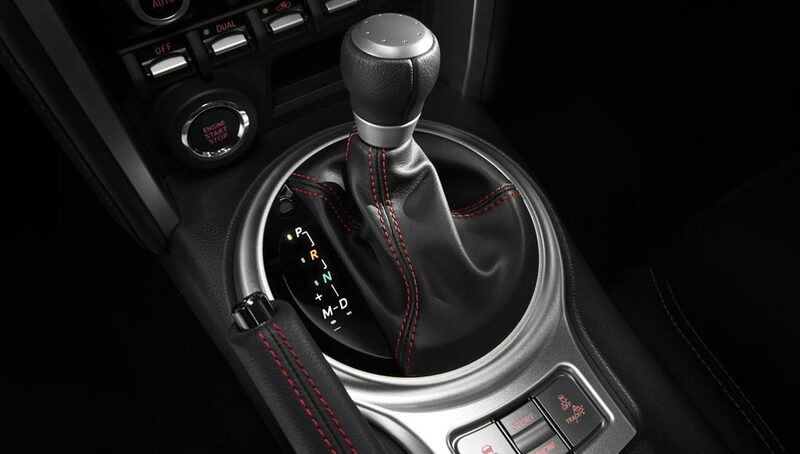 The optimal sports car drivetrain is given a boost by the choice of two sport-focused transmissions. Both the 6-speed Manual Transmission (6MT) and 6-speed Automatic Transmission (6AT) are compact, set low in the chassis for optimum weight distribution and tuned for crisp response. There is no wrong decision here. The 6MT is a short-throw transmission with close gear ratios for true sports car performance. The gearshift is positioned for quick and smooth operation, while the overall feel of the linkage is one of solidity and precision. 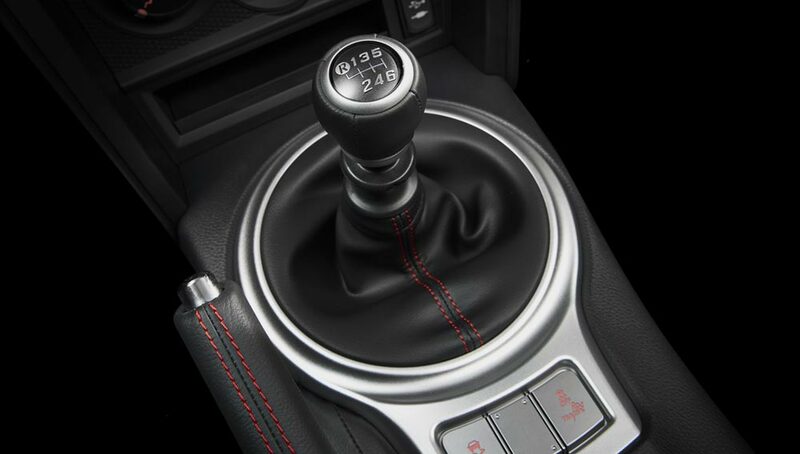 The first five gears provide the thrills, while sixth is a true overdrive gear for heightened fuel efficiency. The 6AT features paddle shifters on the steering column, automatic throttle blipping on downshifts, and a Sport setting and Manual Mode that are 30% more responsive than Normal Mode. Tuned for crisp response, the 6AT enables powerful acceleration at low engine speeds and superior fuel efficiency at higher speeds. For increased control in wintry conditions, there’s also a Snow setting. The key to any great sports car is not acceleration or top speed — the key is balance. Striking the correct balance is no easy task, it’s the result of years of research, development and engineering. But it’s worth all the effort when the goal is giving the driver a heightened sense of connection to the car and the road. 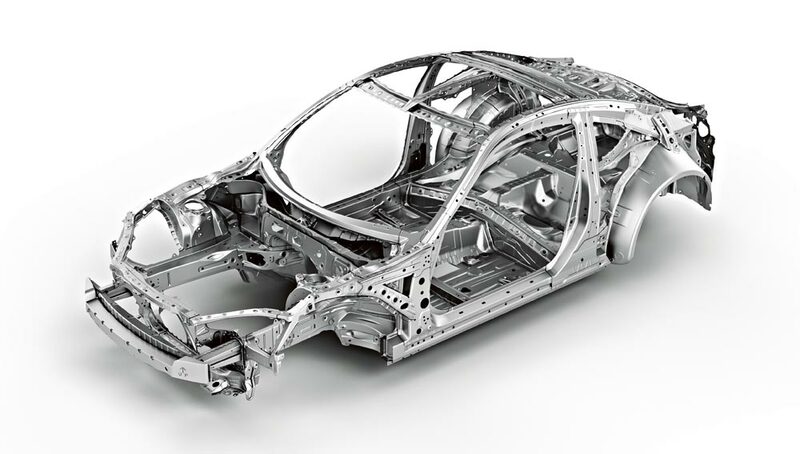 A chassis engineered for perfect balance is the starting point for a car designed for sheer driving pleasure. The goal in developing the Subaru BRZ was to build a lightweight sports car with an ultra-low centre of gravity, quick steering, tremendous strength and a superior power-to-weight ratio. This goal was achieved by positioning the drivetrain low in the chassis, constructing the hood from aluminum and using lightweight, high-tensile strength steel for most of the body. The MacPherson front suspension system helps create superior driving dynamics. The front strut assembly features excellent damping force to strike the perfect balance of ride comfort, stability and chassis response on any road. The spring rate for the front coil springs creates dynamic steering response. The Sport-tech RS trim level features SACHS performance dampers for even higher levels of handling precision. The double-wishbone rear suspension utilizes the architecture of the high-performance Subaru WRX STI. The structure, friction and damping force of the rear dampers is calibrated to balance ride comfort, stability and driving dynamics. The spring rate of the coil springs is optimized with the same goal in mind, while the diameter of the rear stabilizer bar is chosen to optimize control and turning capabilities. On the Sport-tech RS, the rear suspension also features SACHS performance dampers. 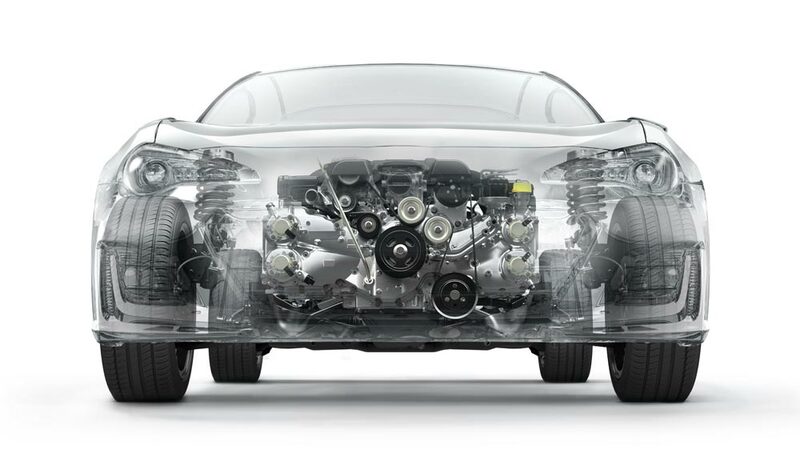 Learn more about the benefits of the SUBARU BOXER engine and the rally-honed fully independent suspension system .